The poll gained quick traction online and in the media. 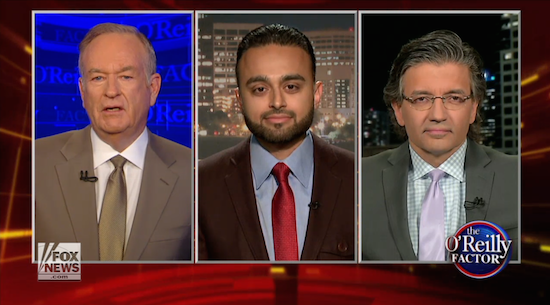 On the evening of its release, Fox News host Bill O'Reilly also lent credence to its findings and cast doubt upon American Muslims' loyalty to their country. "A majority (51%) agreed that 'Muslims in America should have the choice of being governed according to shariah.'" "Nearly a quarter of the Muslims polled believed that, 'It is legitimate to use violence to punish those who give offense to Islam by, for example, portraying the prophet Mohammed.'" "Nearly one-fifth of Muslim respondents said that the use of violence in the United States is justified in order to make shariah the law of the land in this country." 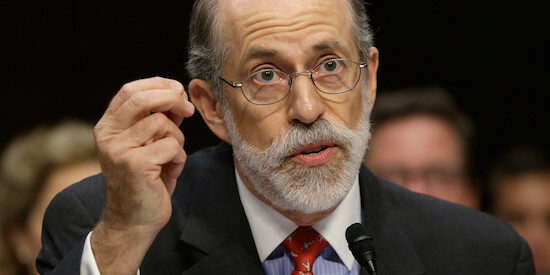 In recent years, many groups have raised questions about the objectivity and intentions of Frank Gaffney. His tendency to posit conspiracies about Barack Obama and the Muslim Brotherhood is well documented, and has earned him sharp critique across the political spectrum. The Center for American Progress labels him a "misinformation expert," while the Conservative Political Action Committee banned him from their 2011 conference for peddling false accusations about GOP connections to Muslim extremists. It was his organization, CSP, that was behind the unfounded rumor that Hillary Clinton's chief of staff, Huma Abedin, was linked to the Muslim Brotherhood, and once floated the false idea that General David Petraeus had "submitted" to shariah. Since the early 2000s, CSP has generated dozens of occasional papers, blogs and reports that fixate on shariah or other allegedly nefarious topics related to Islam. Often, they are loosely sourced or entirely unsubstantiated, relying instead on a furtive web of connections or, in one case, a 24-year-old document written by a lone Muslim activist that has since been roundly discredited. Another problem with this poll is the way that questions and answers are phrased. Often, they are not neutral, but are imbued with assumptions and replicate, in an interrogative form, statements that Gaffney and CSP have declared as fact for years. In one question, respondents are asked: "Do you believe the Muslim Brotherhood in America accurately represents your views?" Packed into this question is the assertion that the Brotherhood indeed exists in the United States -- something that Gaffney has long propagated. Those who answer "yes" confirm his suspicions, while those who answer "no" acknowledge nonetheless that the group is present here. They're put into a lose-lose situation. In several questions that are asked about shariah, the content of what shariah actually is remains unexamined. Even when Gaffney's survey appears to be more nuanced by asking Muslims how they would "characterize shariah," it only offers options about how broadly sharia -- whatever it is -- should be applied. Answers ranging from "guide to the personal practice of Islam" to Gaffney's preferred option ("the Muslim God Allah's law that Muslims must follow and impose worldwide via jihad") still don't allow Muslims to express about what they believe about shariah. Respondents' likely answered questions on shariah based on their understanding of the concept, but those views were not measured in the survey, nor communicated to the Fox News audience. Instead, viewers are left to believe that Muslim Americans support shariah as Gaffney and O'Reilly have portrayed it for years: a "brutally repressive" law hostile to non-Muslims. At the end of the day, Gaffney and O'Reilly make it look like Muslims support things they actually don't. Sixty-percent of respondents agreed that "shariah as interpreted by Islamic authorities is compatible with the U.S. Constitution, including freedom of speech and other rights," and 51% chose this definition of jihad: "Muslims' peaceful, personal struggle to be more religious." These rare but helpful nuances are not even alluded to in the promotion and coverage of the survey's findings in conservative outlets like Fox News. O'Reilly also makes exaggerations that the already-flawed data doesn't support. "Fifty-one percent [of Muslims] say sharia law should be the reigning law," he said. But that language is nowhere in the survey data he's likely referencing, which says that "a majority (51%) agreed that 'Muslims in America should have the choice of being governed according to shariah.'" Despite its unreliability, the survey and its findings have spread quickly, with generalizations about American Muslims ricocheting across the Internet and social media, and bleeding into more mainstream outlets. Unfortunately, the general public is not equipped with the tools or knowledge to dissect such claims and is left to accept them at face value. This is especially so when they're touted by a trusted personality, like Bill O'Reilly, and confirm pre-existing beliefs about Muslims. Though the public may not see it, the problems with this poll are numerous: CSP has a history of fabricating fear about Islam and Muslims; the survey's questions and answers are loaded with bias; and its creators and proponents falsely claim that its findings represent the views of all American Muslims. The American public shouldn't trust this poll. This piece was originally published on The Bridge Initiative's website.